On October 15th, 2013, Ms. Vickery and Mr. Haggard took five Thacher dancers to Chongqing, China, to perform in front of ten thousand people. I caught up with three of the dancers – Grace Bingham ‘15, Wesley Liang ‘15, and Hayley Kong ‘15 – to get their view on the trip. Arianna Finger: What were your feelings prior to your trip to China? 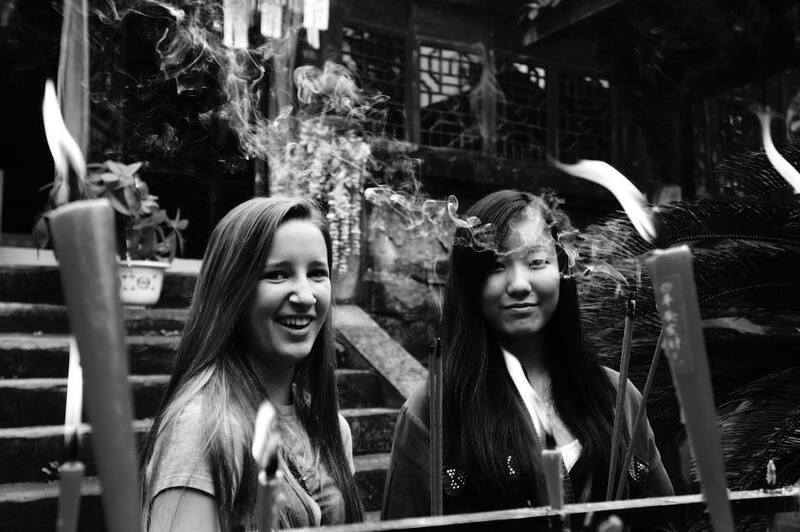 Grace Bingham: Before China I was really excited, but I don’t think I really understood, exactly, like what the trip would be like. A lot of us were really nervous about school work, but we also just didn’t understand how many people would be there. Going to China we thought we were going to perform in front of a little festival, but we were really excited. 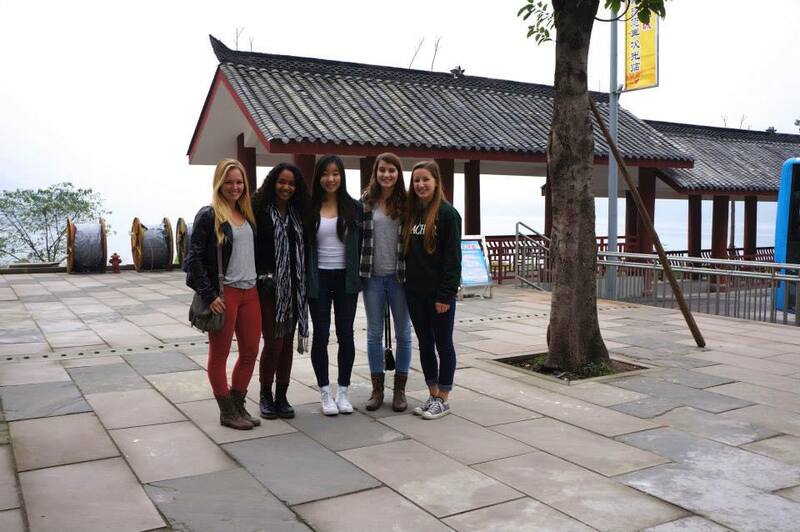 Hayley Kong: I had been there this past spring break when I was in Shanghai with my family for a trip. But nothing can compare to jumping into a world where they speak a language you can’t begin to comprehend and they all stare at you. Even though I had been before, I was very anxious at the prospect of flying solo with Grace and meeting a man there who we didn’t know and didn’t even know what he looked like or his name, and he would take us to the hotel. Once we got there, it was mostly exciting, and really a thrill. Grace and I looked at each other with a look that basically said, Whoa, we’re in China. And that basically set up the whole trip. It was really a whirlwind trip and it was hard to let it sink in that we were in China in the middle of the school year to perform a dance, a dance that we spent tons of hours preparing and rehearsing. AF: When you got to China, what did you do while not performing? GB: The first day we got there, it was around 6 am and Hayley and I went straight to the hotel, and then we took a nap, and then went straight to the square. We toured around the square and the city for a little while, and because we were from America, people would stare at us and ask us for pictures. Carrie and I both had people take pictures of us with their children, so yeah that was cool. We also visited the Great Wall of China and the Forbidden City, it was awesome and crazy. HK: We explored temples and the Forbidden City and even just explored all the interesting shops and things happening on the streets. 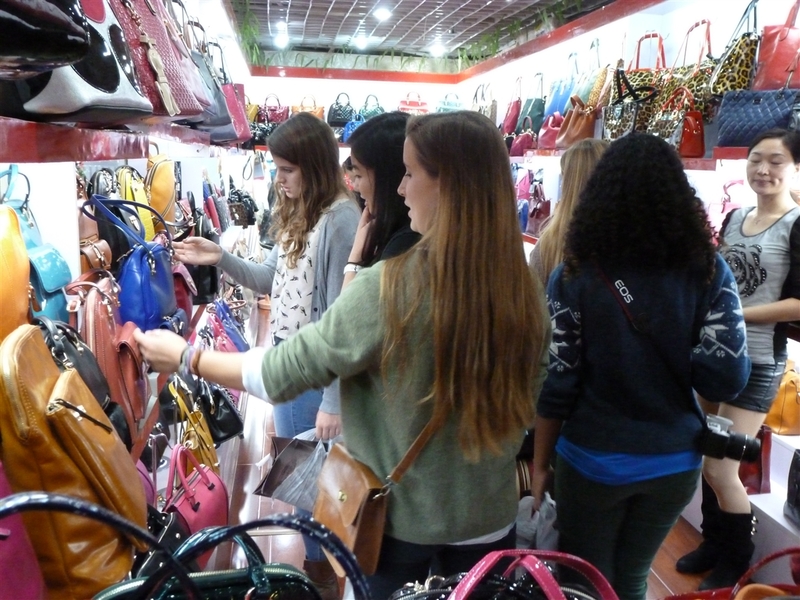 The culture of China is very different, and yet fascinating. AF: Tell me about the performance. Wesley Liang: First off, the sheer size of an audience as large as 10,000 was incredible, unreal in fact, when we first heard about it. Honestly, I felt like I was dreaming at first. When it got to the time of the actual performance, all of the excitement and nervousness that was bottled up inside me literally exploded. In addition to my excitement and anxiety, my adrenaline kicked in the moment I stepped onto the stage, giving me an elevated view of the audience. GB: When we got there and saw where we were performing, and then found out that we were going to be performing in front of 10,000 people . . . that kind of made everything more real. Everyone was staring at us, and we were wearing our sweat pants so we probably looked really weird. But, we warmed up, and right before we went on stage, we were really nervous, and very scared, we actually thought they were all going to hate us. We gave each other pep talks, about how it doesn’t matter what they think, and then we got on stage and it was insane. HK: Yeah, when we got on stage, it was immediately clear that all those hours were way worth it. The crowd went crazy when we went on stage, and continually through our performance they cheered us on, which really powered us through the dance and fueled our best performance. 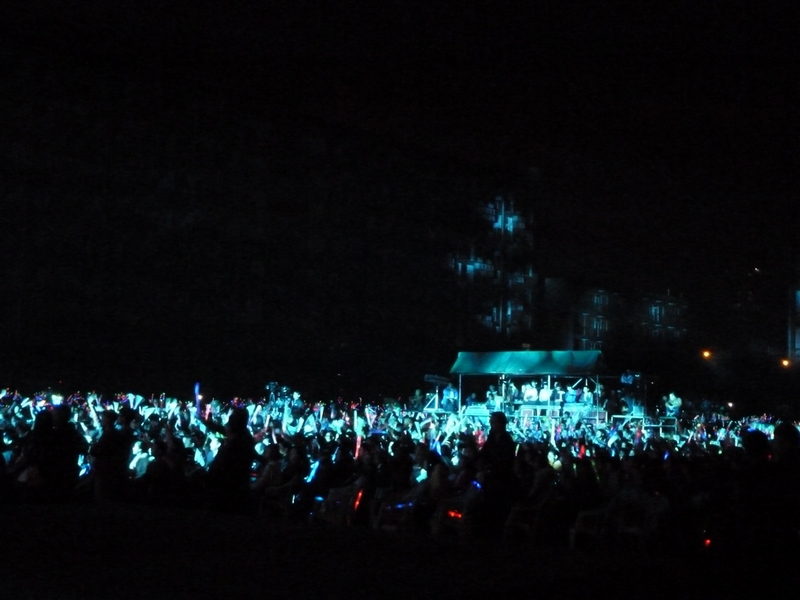 WL: When they were cheering, applauding, screaming, and waving glowsticks in the darkness, it made the scene even more unreal than it had already been. Thousands on thousands of glowsticks and faces were directed towards me, and I can’t describe how breathtaking of a sight it was and how hyped I was in that moment. 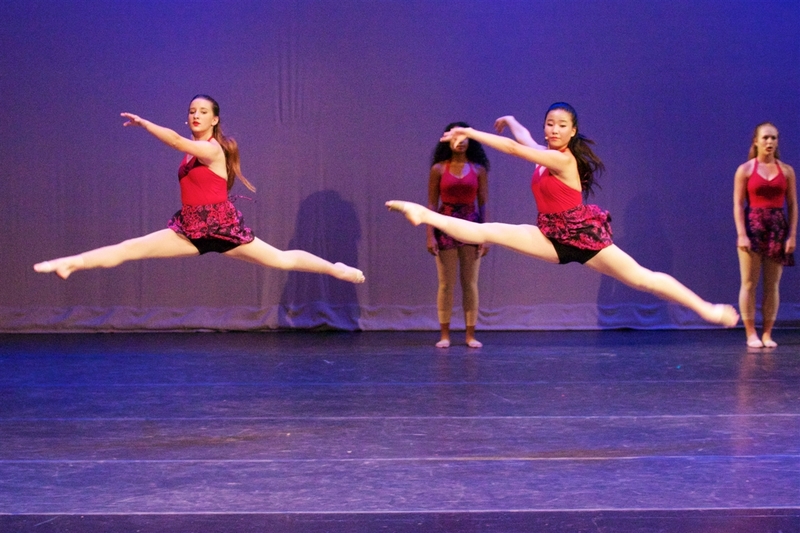 I also felt the energy flowing from the four other dancers as we began to perform. GB: It was awesome. For the first number, Steam Heat, there was this red light, and steam that was going off the stage. The Chinese are really conservative, but they actually ended up really liking us and yelling for us. Coming off stage it was just the most incredible feeling, it was honestly a once in a lifetime feeling. WL: Everyone of us performed the best we ever performed and will ever perform in that four minutes of fame and glory. Even when the music stopped before the end of the piece because of technical difficulties, we carried on as if nothing had happened, and finished off the piece with bright smiles. The audience roared even louder after we finished the performance, bowed, and left the stage. The overwhelming support from the audience truly made it an extraordinary and unforgettable experience for me. This is an experience that I will forever cherish and remember for the rest of my life. Working with Greg Haggard and these five dancer/singers was one of the best experiences of my life. The opportunity to work with a small group of talented and passionate people creating the 20 minute piece was wonderful. 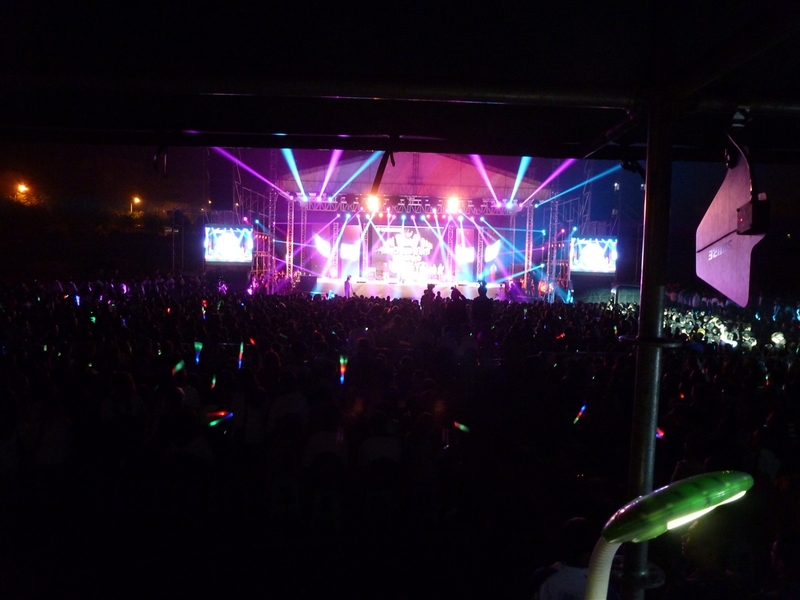 The performance venue provided some challenges, but watching these young women performing like ‘rock stars’ in front of 10,000 people, and hearing the audiences reaction was amazing. 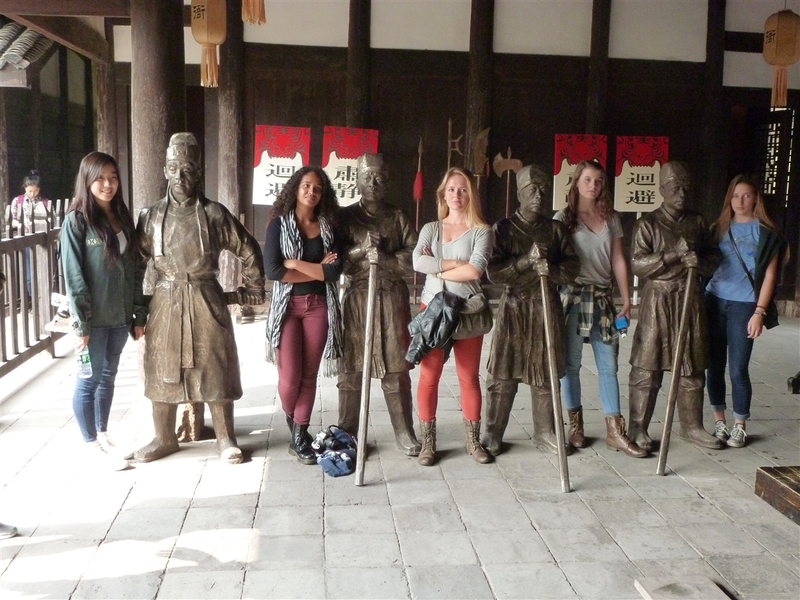 To read about the Dance Ensemble’s journey prior to arriving in China, read Ana Levy’s report here!